Is it coffee or is it tea? It is both! We put ground, green (raw, unroasted) coffee beans in tea bags. Tea, made from coffee beans. It doesn’t taste like your regular cup of coffee. Green coffee tea has a unique flavor, a bit herbal and faintly sweet. Make sure to steep the tea for 2-4 minutes to achieve maximum flavor. Yes, because Green Coffee Tea is rich in antioxidants. Does Green Coffee Tea contain caffeine? Yes it does. Ideal if you don’t like coffee but are craving a boost. 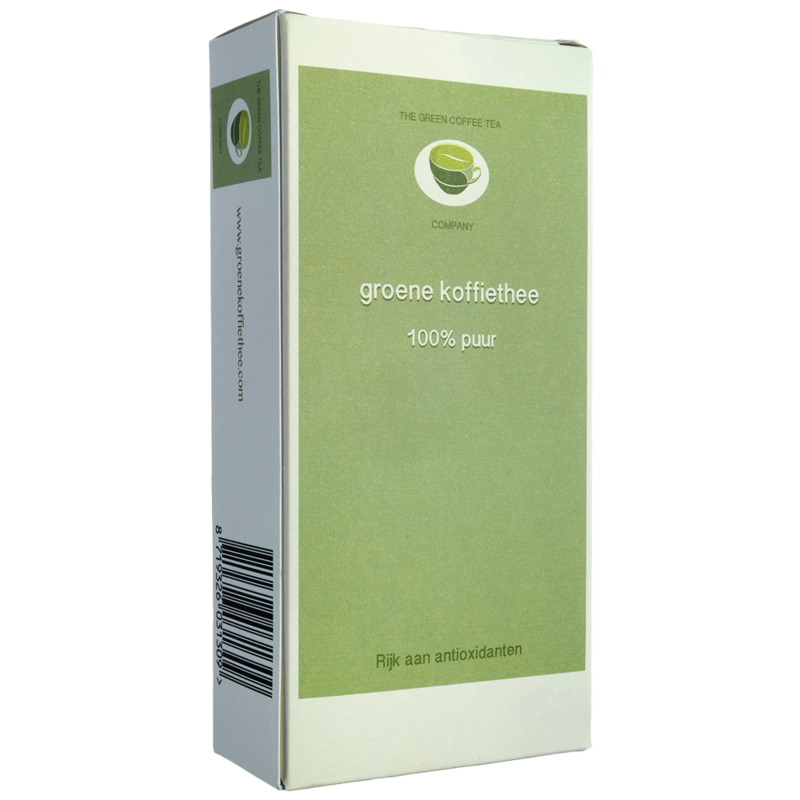 Green Coffee Tea is tea made from green coffee beans. Green coffee beans are raw, unroasted coffee beans. They are rich in antioxidants and also stimulate your metabolism. ©2016 Groene koffiethee B.V. Alle rechten zijn behouden.